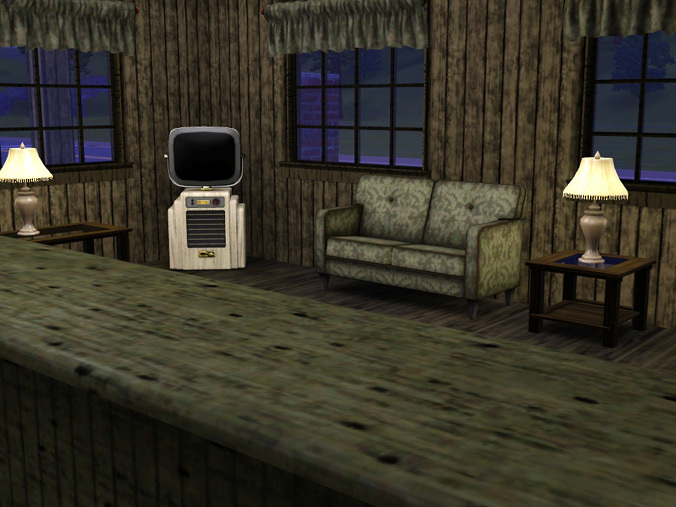 Contrary to its name, The Windfall Motel has never seen better days. It burst forth from the crust of the earth a sad, shabby wreck of a building so that all may look upon it and drive away faster--sort of like Athena, but with more cocaine. Tailor-made to the whims of all your homeless, your hobos, your starving artists and your bums, The Windfall Motel is equipped for...extended stays. Memories of all those successful days in your life got you down? Don't worry! There's a bar right off the check-in office that's there to help. Never had any successful days in your life? The bar will help with that too! 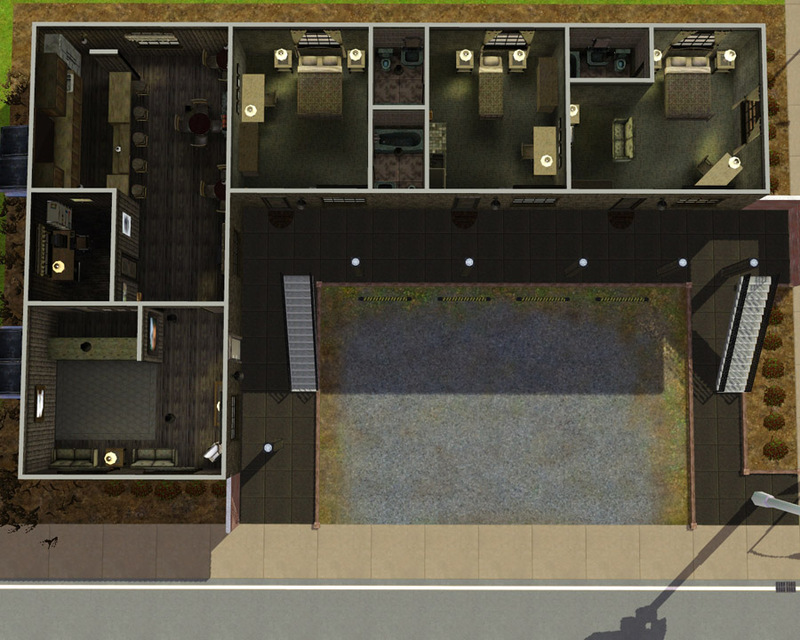 The Windfall was built specifically to play families without ever needing to touch your "home" lot. 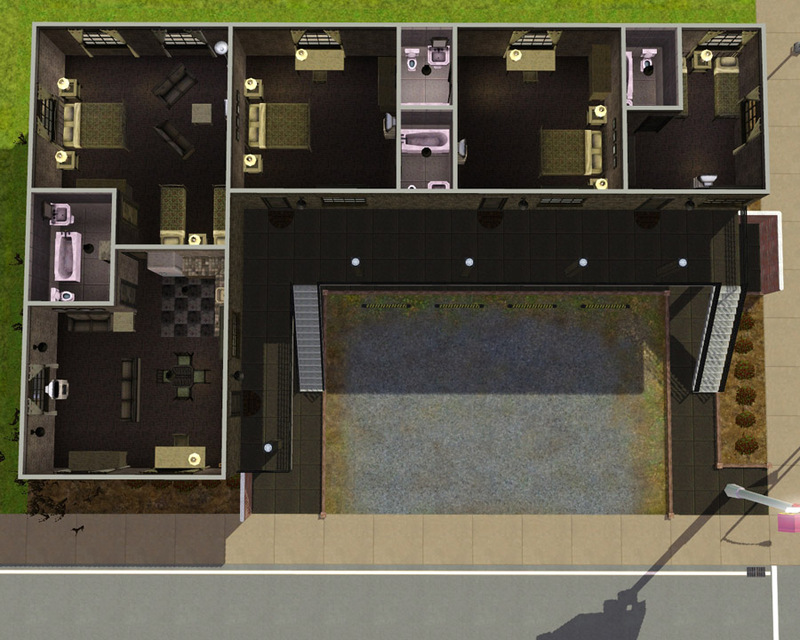 There are 7 rooms total, all of which have a bureau, TV, and private bathroom. There's a "suite" on the top floor for bigger families or people who just like to hog space. 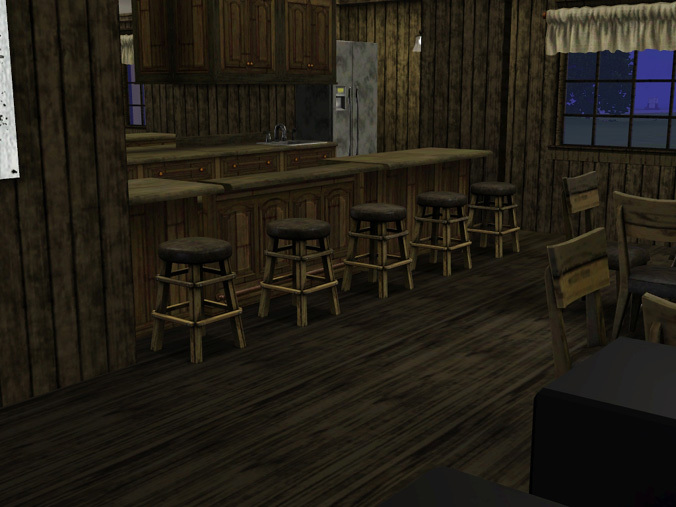 There's also a single downstairs that's equipped with a kitchenette, for all your solo sims who aspire to nothing except toast and jam in the middle of the night. The lot counts as an art gallery, so be prepared for a lot of stupid autonomous art gallery reactions. Prior to uploading, I was going to take out enough art pieces for it to stop being an art gallery, but found the irony too delicious. If you want to change the type of community lot it qualifies as, feel free to manually remove the paintings in Edit Town mode. If enough people find it obnoxious, I'll be glad to do it myself and reupload. 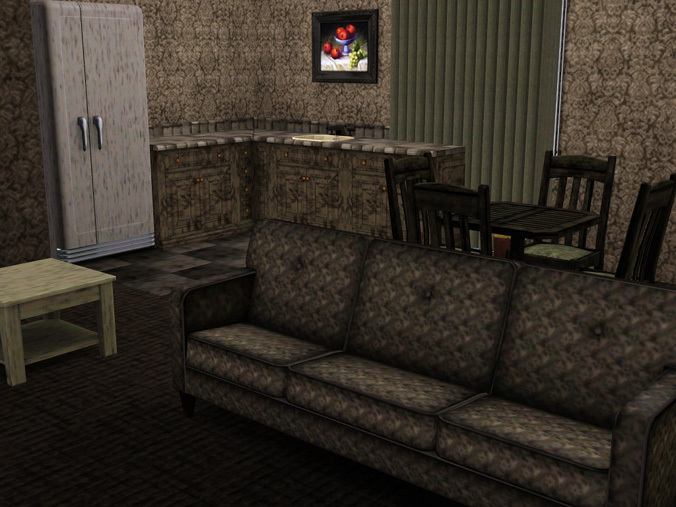 --All beds are sleepable and you can get quick meals out of refrigerators, even if you can't have stoves. Your sim can easily maintain all their needs here without needing to go anywhere else. --Without being able to lock doors, you'll have no privacy. 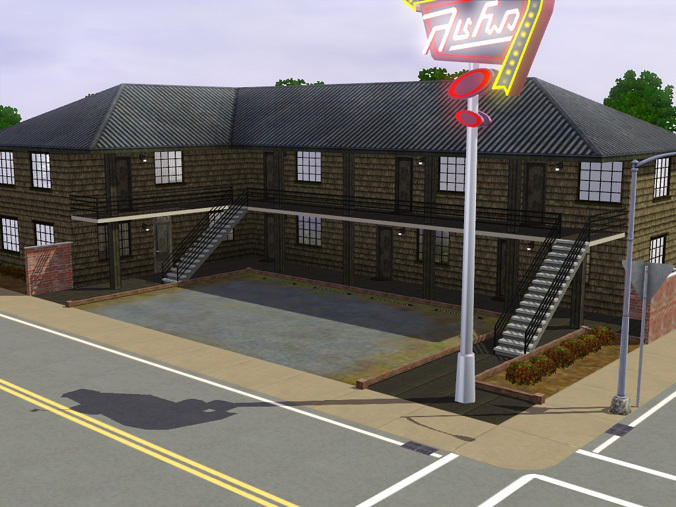 On the upside, the lot doesn't seem to be very popular with the townies so it's rare that people will walk into your room and use your crap. Yeah!! 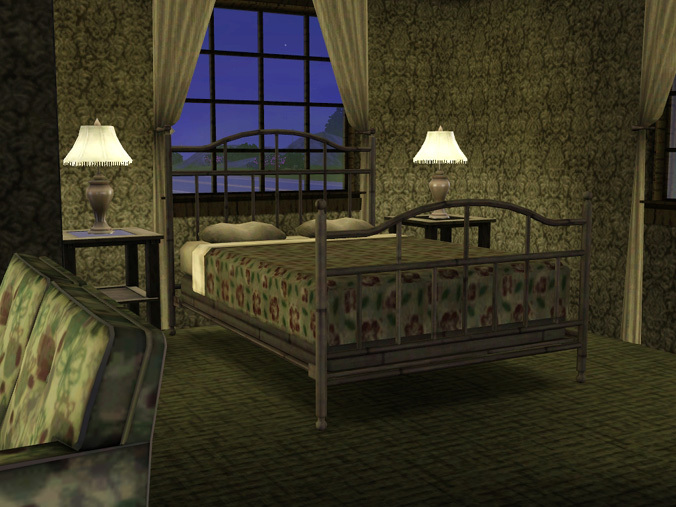 --You CAN woohoo/try for baby; however, you cannot choose the bed that is used to do so. 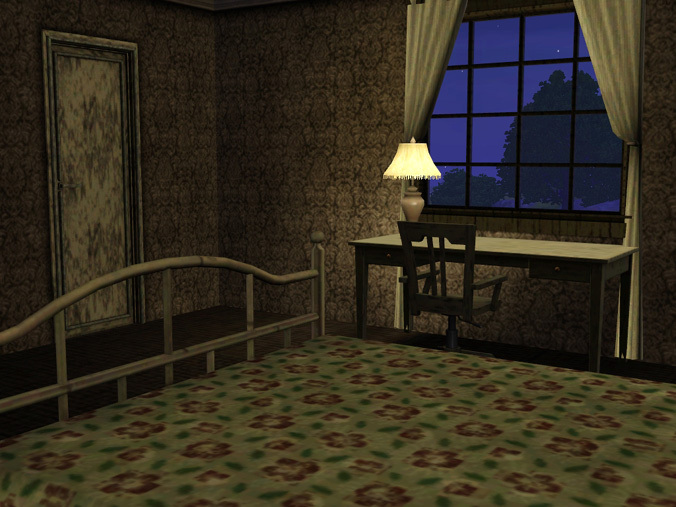 Usually sims will go to the bed in the same room, but you can never predict Sim pathing. --It seems that your kids/teens won't get picked up by the cops for breaking curfew as long as there is at least one parent on the lot, even if they didn't go to the lot together. --Once you get your babies/toddlers to the community lot, they can stay there indefinitely as long as at least one parent is on the lot. However, if you have more babies/toddlers than sims to carry them, you're going to have to do some juggling to get them all there. No Curfew Police by jonha; will prevent your kid/teenage sims from getting rounded up in the event of no parents around. Let's face it: no cop is going to bust down a motel door to drag a sleeping teenager home because it's past curfew. Leave the Baby Home by climbingsideways; in the event you have more babies/toddlers to get onto the community lot than you have sims to carry them. Enjoy, and let me know how it works out for you guys! 'The Hannah' - 3br, 1.5ba Split-level Suburban.